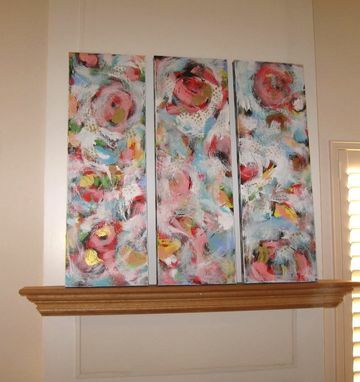 This listing is for 3 original abstract paintings. 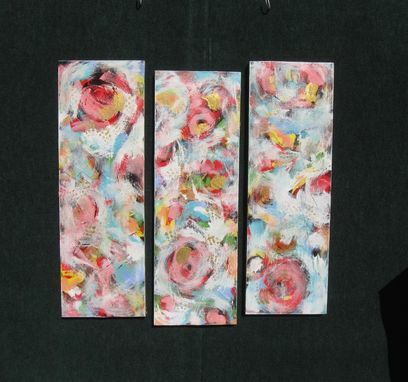 Each original measures 12"x36"x1.5"
Each is painted on all fours sides so no framing is necessary. The beautiful pastel colors are highlighted by touches of metallic gold. 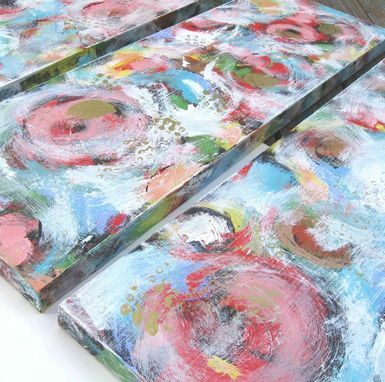 Several layers of glossy varnish finish the painting, giving it an elegant yet playful look. 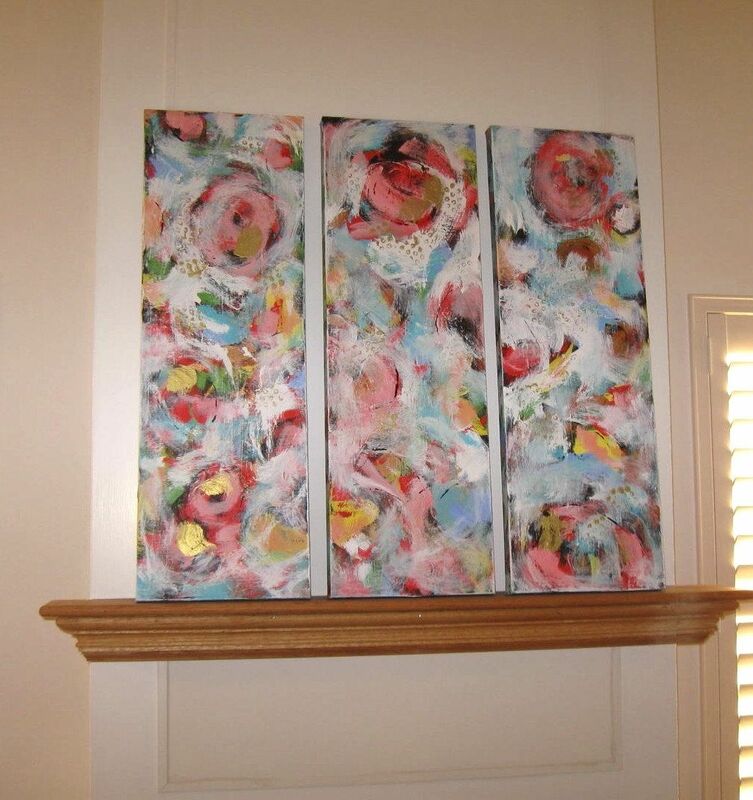 These can be hung in a variety of ways or even on different walls. If you would like to purchase just one piece, convo me for the listing.